How do you measure a young person’s progress in reading? That was the problem that occupied the mind of the late Stan Deno, PhD ’65, as a young University researcher. After starting his career teaching high school biology, Deno turned toward special education. He went back to graduate school to study classroom behavior and learning. Deno became a master of measuring what happens in classrooms. His major focus was on reading and spelling at elementary grade levels. Returning to Minnesota after his first faculty job in Delaware, he invented what came to be known as curriculum-based measurement, or CBM. CBM is a fast, easy way for teachers to track their students’ progress through one-to-one interactions across time. 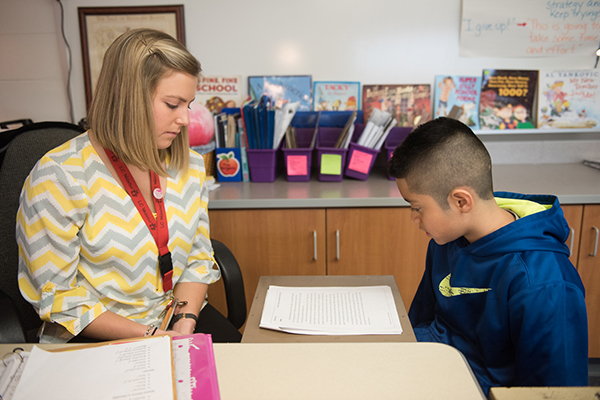 Rather than infrequent and demanding assessments, CBM provided teachers ways to measure student achievement as often as once a week and adjust teaching to help students progress. It has given teachers a powerful tool to tailor their instruction for individual students. Designed for special education, CBM’s impact soon went far beyond. It has reached general classrooms and students across the nation and around the world. With the advent of digital technology, CBM has also formed the basis for a growing number of commercially available systems, including Early Learning Labs, CEHD’s first tech start-up. FastBridge Learning, AimsWeb, Easy CBM, DIBELS, and EdCheckup are all based on CBM. In 1953, physician Virginia Apgar had a brilliant idea: rate the general health of newborns on a 10-point scale at the moment of birth and again five minutes later. Physicians assigned points based on crying, breathing, oxygen-infused skin color, moving limbs, and heart rate—indicators they could act upon. As the Apgar test was adopted, infant mortality rates plunged around the world. Stan Deno’s brilliant idea for special education had important parallels to the Apgar test. He wanted outcome measures to be brief and easy to use, meaningful, accessible and inexpensive, connected to long-term outcomes, and able to produce data that teachers could act upon. Reading was the first subject area to address. As indicators of a student’s overall reading competence, Deno demonstrated that the words a student read aloud correctly from text in a certain amount of time, as short as a minute, were strong correlates of much longer, widely accepted measures of reading achievement. The research underlying the widespread use of progress-monitoring procedures for CBM was carried out in the Institute for Research on Learning Disabilities, a center in the College of Education from 1977 to 1983, where Deno served as research director. A third-grader read for one minute to his teacher, who monitored and showed him his progress with FAST, a system based on CBM research. Phyllis Mirkin (1931–82) was Deno’s partner at the institute. Together they authored Data-Based Program Modification: A Manual in 1977. Gary Germann, a young director of special education in east central Minnesota, read the manual. He was struck by Deno and Mirkin’s vision of a delivery model based on the assumption that the disability is never the problem; the problem is the discrepancy between the child’s actual and expected progress. Germann called Deno in the winter of 1979, which led to years of close friendship and productive collaboration. As director of the Pine County Special Education Cooperative, Germann invited Deno and Mirkin to provide the intellectual and developmental capital, the time and energy of their graduate students, and supportive science to create a comprehensive intervention- and outcome-based education problem-solving system. As German described it, the cooperative would provide “two school psychologists to manage the implementation effort, an unbelievable group of willing teachers, a supportive group of principals, and the nervous approval of the superintendents.” He provided the leadership. In 1981, the Pine County Special Education Cooperative conducted its first fall, winter, and spring benchmarking of all students in its districts using CBM. The collaboration refined and validated CBM and developed a nationally recognized data-based special education system. It moved the Pine County districts ahead dramatically in their ability to meet the needs of children with learning disabilities. Ten years later, Germann initiated the development of the St. Croix River Education District (SCRED). Through the 1990s, it led member districts’ efforts to develop a continuous database of all students’ academic performance and an electronic data management system. This work, along with Doug Marston and colleagues in Minneapolis Public Schools and other districts around the country, provided demonstrations, platforms for research, and a foundation for expansion of CBM to classrooms throughout the country. Kim Gibbons was a doctoral student at the University of Oregon in 1995, seeking an internship, when her adviser, Mark Shinn, Ph.D. ’81, connected her with Germann. “I thought I might stay a year, and I stayed 20,” she laughs. Gibbons became the special education director after Germann’s retirement, and later the executive director. She carried on Germann’s legacy and led the charge in helping the SCRED districts implement the response-to-intervention framework that included CBM as a core component. Gibbons got to work closely with Deno, including teaching classes at the U. He was a powerful influence and mentor. “As CBM was taking hold nationwide, with response to intervention and multi-tiered systems of support, the St. Croix River Education District was way ahead of the curve,” says Gibbons. In fact, SCRED secured legislative funding in 2007 to form a statewide response-to-intervention center. 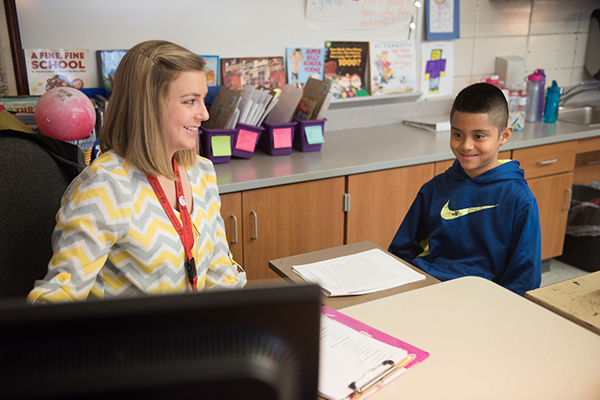 In 2015, Gibbons joined the University’s Center for Applied Research and Educational Improvement to help scale up evidence-based practices in Minnesota school districts. 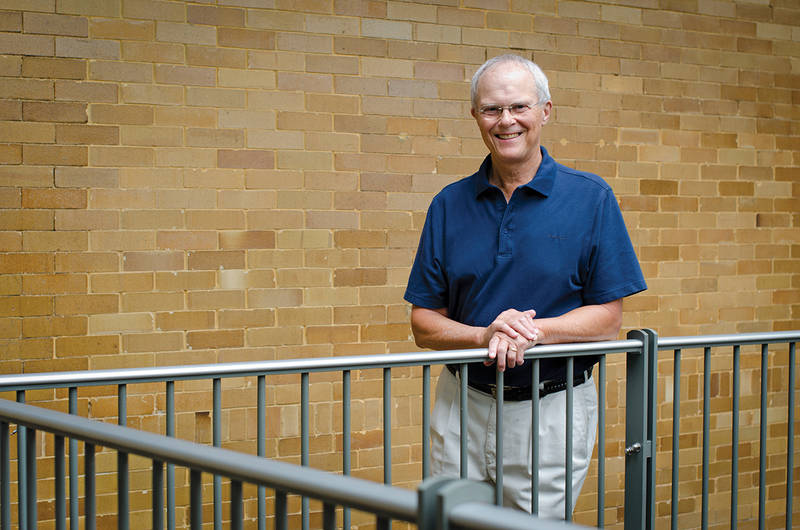 Deno mentored nearly 100 doctoral students and junior researchers in his 40 years at the University of Minnesota. His students continued and expanded his commitment to CBM and problem-solving education. Individuals like Mark Shinn, Lynn and Doug Fuchs, Christine Espin, Doug Marston, Gerald Tindal, and a host of others continue that research today. 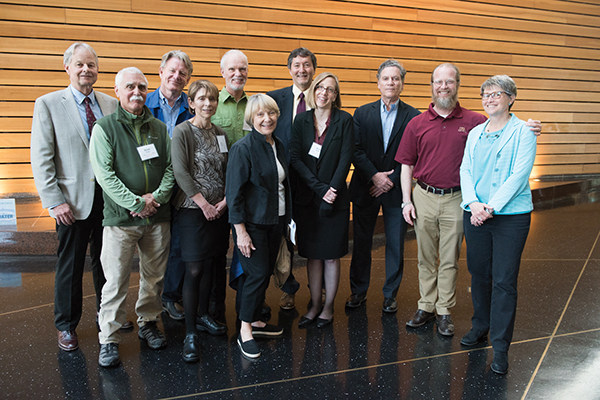 At the Stan Deno Memorial Conference in May, left to right, Doug Marston, Jerry Tindal, Scott McConnell, Lynn Fuchs, Joe Jenkins, Sue Rose, Geoff Maruyama, Kristen McMaster, Doug Fuchs, Frank Symons, Chris Espin. With alumni all over the world, he continued to share ideas and loved to hear about their work until just days before he died in 2016. Known as down-to-earth and amiable, he marveled at CBM’s global life of its own. For his career of distinction, Deno posthumously was awarded the University’s highest honor to alumni in May 2017. His family accepted the award in a ceremony following a memorial conference attended by alumni from as far away as the Netherlands. Learn about CBM from more than 50 researchers and practitioners in A Measure of Success: The Influence of Curriculum-Based Measurement on Education, Espin, McMaster, Rose, and Waymen, eds. University of Minnesota Press, 2012.